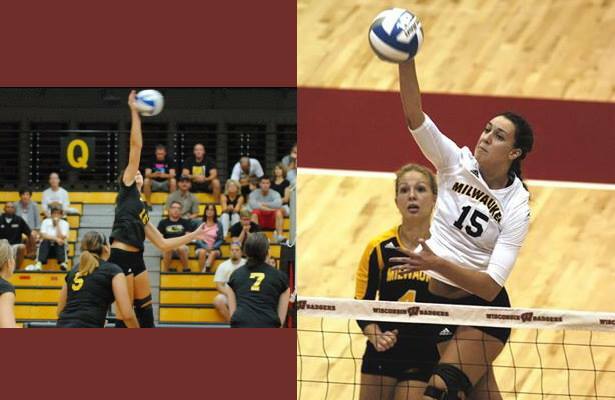 Senior Milwaukee Panthers volleyball star Julie Kolinske has been named the Horizon League Offensive Player of the Week, the league announced Tuesday, following an impressive weekend in the Pepsi Panther Invitational. In the Panthers three matches a part of the Pepsi Panther Invitational, Kolinske had a monster weekend hitting .408, while averaging 4.7 kills per set to take home the tournament MVP award. Kolinske really stepped up in the clinching game of the Invitational, as the Panthers were able to claw back after trailing two sets to one to beat Miami (OH). The Preseason Horizon League Offensive Player of the year will now look to continue her dominance this weekend, as the undefeated Panthers travel to Springfield, Mo., to participate in the Missouri State Wynn Invitation.